BASS & FLINDERS RESTAURANT 49 Eastland Drive, Ulverstone, 03 6425 3011. Fully licensed restaurant offering a varied menu and specialising in steak and pasta dishes. Open daily from 5.00pm to 9.00pm, and other times by appointment. BEACHWAY RESTAURANT 1 Heathcote Street, Ulverstone, (03) 6425 2342, www.beachwayulverstone.com.au. Fully licensed restaurant offering a-la-carte at affordable prices in comfortable surroundings. Open 7 nights a week for dinner. CAFE` RA 1 Crescent Street, Ulverstone, (03) 6425 1160, fax (03) 6425 3811, email riverarms@goodstone.com.au. Located at the River Arms Hotel, offering family/casual dining, with an extensive menu that’s sure to please all. Open 7 days a week for lunch and dinner. FURNER'S HOTEL BISTRO 42 Reibey Street, Ulverstone, 03 6425 1488 Renowned for its extensive menu, fresh salad bar, friendly service and atmosphere. Open 7 days a week for lunch and dinner. INDIAN CORNER & TAPAS BAR 45 Reibey Street, Ulverstone, 03 6425 3883. Quality dining with a dine-in banquet menu also available and takeaways. Open 7 nights a week for dinner from 5.00pm to late. JADE WILLOW CHINESE RESTAURANT 35 Reibey Street, Ulverstone, 03 6425 653.5 Extensive Asian cuisine menu, with banquet specials. Open Wednesday to Friday for lunch, and Wednesday to Sunday for dinner. LANCASTER HOUSE 1 Reibey Street, Ulverstone, 03 6425 4729 Coffee, wine and fine food. Café by day restaurant by night. Bookings preferred. Open Monday to Friday 8.00am to 5.00pm, Sunday 8.30am to 3.30pm and for dinner Thursday to Sunday from 6.00pm. OZ ROCK INN Beach Road, Ulverstone, 03 6425 1120. 5 star restaurant offering a-la-carte menu. Bookings essential. PEDRO'S "THE RESTAURANT" Wharf Road, Ulverstone, 03 6425 6663, fax 64256664, or email info@pedrostherestaurant.com.au. Located on the banks of the Leven River and specialising in freshly cooked Tasmanian seafoods and North West Coast beef. Pedro's is the place to go for crayfish all year round. Open 7 days a week for lunch and dinner. Fully licensed. PIER01 RESTAURANT CAFÉ 3 Wharf Road, Ulverstone, (03) 6425 7811, email: infopier01.com.au. Local produce takes centre stage at the restaurant on the Wharf. Open for lunch from 11.30 to 3pm Tuesday to Sunday and dinner Wednesday to Saturday from 5.30pm till late. Open for breakfast on Sunday from 9am. Tapas on Sunday from 4pm to 7pm with free entertainment from 3pm to 7pm. During winter closed Monday and Tuesday. Open for lunch on public holidays. SPICE HOUSE Shop 5/25 King Edward Street, Ulverstone, (03) 6425 3055 Fully licensed restaurant and takeaway. Open for dinner eat in or takeaway, Tuesday to Saturday from 5pm until late. 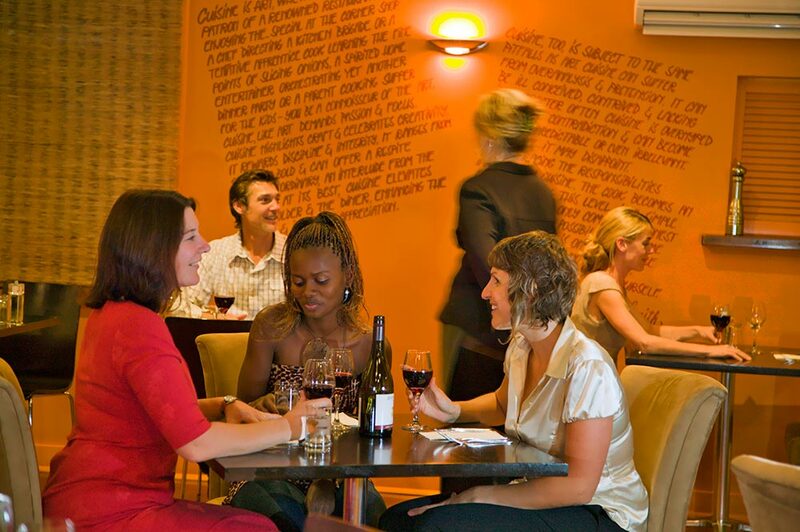 THE LIGHTHOUSE HOTEL ATRIUM RESTAURANT 33 Victoria Street, Ulverstone, 03 6425 1197. Offers fine food, varied menus and fabulous surroundings. Open 7 days a week for lunch, dinner and snacks. ULVERSTONE RETURNED SERVICEMEN'S CLUB BISTRO King Edward Street, Ulverstone, 03 6425 1439. Open Tuesday to Saturday for dinner from 6.00pm to 8.00pm, and Friday for lunch from 12.00pm to 2.00pm. ULVERSTONE FOOTBALL CLUB 1-3 Victoria Street, Ulverstone, 03 6425 3794. Open every Friday night 6.00pm - 8.00pm all welcome. WINDOWS ON WESTELLA 100 Westella Drive, Ulverstone, 03 6425 4166. Email wow@tasmanianpickled.com.au Windows of Westella is a cafe showcasing local Tasmanian produce located at the Tasmanian Pickled Onions manufacturing facility adjacent to the Bass Highway in Ulverstone. Open Monday to Sunday 7.30am to 4.30pm. BANJO'S BAKEHOUSE 39 Reibey Street, Ulverstone, 03 6429 8488. BENTO 1/23 Alexandra Road, Ulverstone, 0469 610 488. BLUE WREN TEA GARDENS Penguin Road, Ulverstone, 03 6425 4463. BUMBLE BEE TAKE-AWAY 66b Alexandra Road, Ulverstone, (03) 6425 9033, fax 6425 6224, email: pearsonsparadise@bigpond.com. CHICKEN TREAT 58 Reibey Street, Ulverstone, 03 6425 48880. CRUSTY'S 30 Reibey Street, Ulverstone, 03 6425 1130. DELI-CENTRAL 48b Victoria Street (Hartmans Arcade Carpark), Ulverstone, 03 6425 5205. DEPOT FOOD COMPANY 26 King Edward Street, Ulverstone, 0427 137 409. DOMINO'S PIZZA Alexandra Road, Ulverstone, 131 888 or 03 6425 7328. EASTLANDS EATERY 109 Eastland Drive, Ulverstone, (03) 6425 3119. GLORIA'S CAFE` DINER 31 Reibey Street, Ulverstone, 03 6425 6619. I'M IN HEAVEN 62 Reibey Street, Ulverstone, 03 6425 7377. JILL & JACK'S 75 Reibey Street, Ulverstone, 03 6425 5286. KFC 97-101 Reibey Street, Ulverstone, 03 6425 9544. KINGS ON QUEEN CAFE & TAKE-AWAY 39 Queen Street, Ulverstone, 03 6435 1300. MCDONALD'S FAMILY RESTAURANT 2-4 Kings Parade, Ulverstone, 03 6425 6940. OLIVER'S BAKERY & CAFE` 41 Reibey Street, Ulverstone, 03 6425 4118. PEDRO'S FISH & CHIPS Wharf Road, Ulverstone, 03 6425 5181. RED GRASSHOPPER PIZZA Ellis Court, Reibey Street, Ulverstone, 03 6425 3353. SUBWAY RESTAURANT 6 Reibey Street, Ulverstone, 03 6425 5111. THE BEACH HUT 2 Beach Road, Ulverstone, 03 6425 9387. THIRTY THREE CUPS 31 King Edward Street, Ulverstone, 03 6425 1900. EL PERRO TAPAS & PIZZA 87 Main Road, Penguin, (03) 6437 0903. The taste of Spanish tapas comes to the North West Coast of Tasmania. A traditional Latin menu is complemented with Spanish wines and authentic Sangria giving your lunch and dinner experiences that Mediterranean escape. Open Wednesday to Friday from 5.30pm until late, Saturday from 12noon until late and Sunday from 11.00am to 4.00pm. NEPTUNE GRAND HOTEL 84 Main Road, Penguin (03) 6437 2406. Offers Asian fusion dining, Asian flavours entwined with new Australian cuisine. Open 7 days a week for lunch and dinner. JO & CO 74 Main Road, Penguin, 03 6437 2101. LETTERBOX 80A Main Road, Penguin. MASHROOM 7 Arnold Street, Penguin (03) 6437 2762. PENGUIN COUNTRY BAKEHOUSE 85 Main Road, Penguin, 03 6437 2444. PENGUIN CREEK GALLERY 36-42 Main Road, Penguin, 0488 048 091. PENGUIN FOOD BAR 76 Main Road, Penguin, 03 6437 2265. RENAESSANCE 97 Main Road, Penguin, 0409 723 771. ALCHEMY CAFE (PURPLE HOUSE) 640 Forth Road, Forth, 03 6428 2013. Visit: www.alchemycafe.com.au. CORBS SERVO & TAKEAWAY 74 Forth Road, Turners Beach, 03 6428 2984. FORTH BRIDGE HOTEL Forth Road, Forth, 03 6428 2239. "The Hotel with No Gambling". Hearty home-cooked meals, Sunday roast and live entertainment. Open 7 days a week - bistro closed Sunday evening. KAYDALE LODGE 250 Loongana Road, Nietta, 03 6429 1293. Hearty meals served in a relaxed atmosphere, by log fires in winter. Good country food is a specialty with homemade bread served with all meals. Morning and afternoon teas and light lunches available daily. LA MAR CAFE PROVIDORE 82 Esplanade, Turners Beach 03 6428 3621. All day breakfast is a specialty. Providing morning and afternoon teas and light lunches, including vegetarian and gluten free options. Fresh produce, juices and gift lines available. Open Monday to Saturday 7.00am to 7.00pm and Sunday 8.30am to 4.00pm, closed public holidays. WINGS WILDLIFE PARK CAFE Wing's Wildlife Park, 137 Winduss Road, Gunns Plains, 03 6429 1151. Provides light snacks, refreshments and a range of souvenirs. Open daily. TURNERS BEACH BERRY PATCH Blackburn Drive, Turners Beach, 03 6428 3967. Pick your own strawberries or pre-picked available. Cafe now open serving lunches, morning and afternoon teas, all home-made by our chef. Gluten free options available. Freshly ground coffee. Indoor/outdoor area for dining. Open 10.00am to 5.00pm daily, winter opening hours 10.00am to 4.00pm. Closed public holidays and during June.